Thank goodness it's Friday. I think you'll all agree, no? My week has been a whirlwind of colorful fabrics, textiles and flowers so it's no wonder my headspace this morning is leaning towards neutral. Now that my bedroom is pretty much wrapped up I'm already thinking of my next project which is my kitchen. 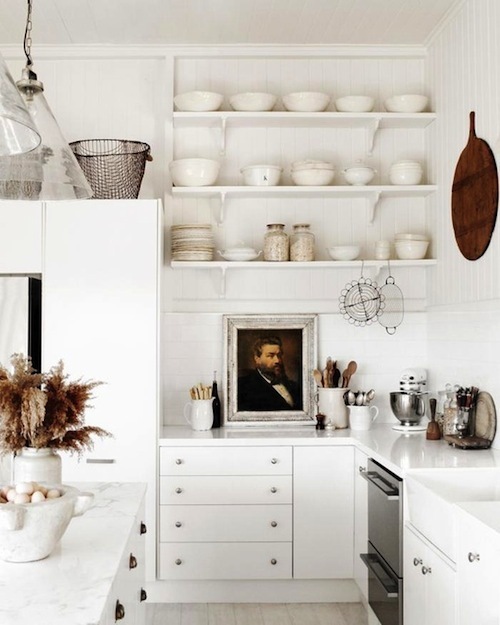 Here are some gorgeous kitchens heavy on the neutral but lovely and ethereal at the same time. Happy Friday, I hope you all have great plans for a fun or relaxing weekend! love love LOVE this! 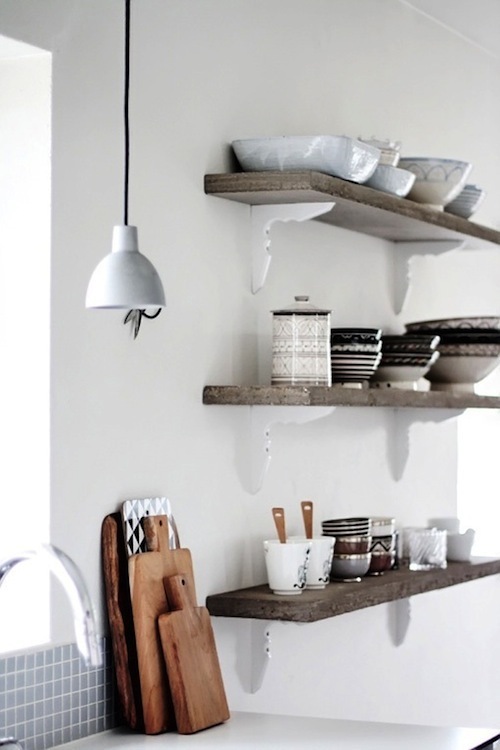 This is what I want my future kitchen to look like.